Strengthening Citizens Involvement in Mitigating Governance Risks in Local Government Units in the Philippines provided technical assistance to support more effective citizen engagement in the formulation and execution of budgets and procurement processes at the local level. 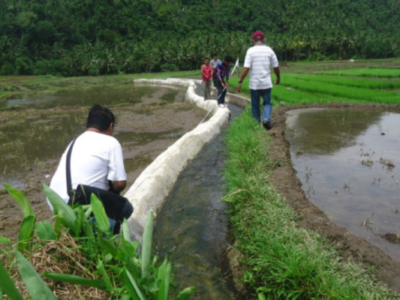 Five sub-projects were developed to address governance risks unique to Local Government Units (LGUs) in the Caraga Region in Northeastern Mindanao. Insights gained from this pilot will feed into a series of reforms undertaken by the Government of the Philippines, including the Bottom Up Budgeting and Open Data disclosure. The Philippines is characterized by high corruption risks that, left unmitigated, pose risks to the country’s development. The challenge, particularly in terms of procurement and financial management, is a major factor linked with the country’s low competitiveness rating and low elasticity of poverty to economic growth. Local CSO and citizen participation can have a major impact on improving governance by shining a light on these processes to increase transparency and accountability where the national government has limited oversight. However, capacity constraints on the part of civil society and a lack of awareness on the part of Local Governance Units (LGUs) on the benefits of citizen participation in governance risk mitigation measures, promulgated fruitful engagements. A diverse range of CSOs and LGUs were selected through an open-call for proposals to implement the sub-projects. Workshops and trainings in project development and social accountability tools and methodologies were imparted to participating LGUs and CSOs. 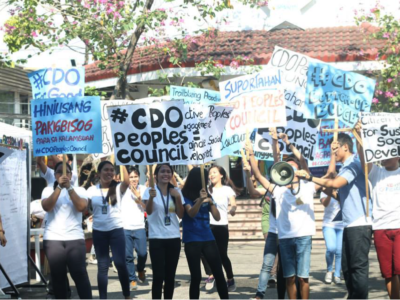 Awareness raising campaigns and well-defined models of citizen engagement were set-up to address governance risks pertaining to each participating LGU. A Project Steering Committee consisting of relevant stakeholders, including representatives of national and local governments, civil society, and technical expertise under PTF was formed to guide the implementation processes. Project Operating Guidelines were prepared and approved by this committee. Given the nascent involvement of local CSOs in social accountability and governance reform work in the area, much of the project’s time and resources were used to strengthen the capacity of CSOs, engender a network for knowledge sharing, and develop partnerships with LGUs. The capacity of local CSOs participating in the sub-projects varied a great deal and so did their familiarity with social accountability tools. PTF guided mentoring support to CSO grantees resulted in proposals with stronger approaches. Also, collaborative learning activities involving both community members and barangay/local officials created “shared space” for discussing and ironing out existing problems in citizen government relationships, resulting in improved relationships between citizens and government. Sub-grantee capacity building. Through PTF-guided learning and training activities, the participant CSOs and LGUs in the five regions have become more familiar with social accountability tools and methodologies for governance risks mitigation measures. This familiarity has contributed to an enabling environment for fruitful engagement. Community mobilization. Community mobilization efforts and processes have increased awareness and participation of citizens with the local government units. 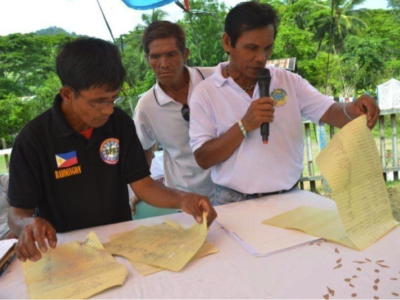 Hundreds of citizens have become engaged with local government in the participating LGUs. A variety of citizen engagement models have emerged in the course of the project, which can be adapted to any governance concerns at the LGU level. Toolkits, templates and operational guidelines. Developing these materials not only provides a framework for engagement, but provides a basis for scale up and replication in existing work e.g., proposal development, learning workshops and partnership building. Constructive government-civil society partnerships. An increased level of participation from local government officials has been observed in the sub-projects target districts. In PTF’s experience, social accountability produces better results when there is a constructive engagement between civil society and government. The objective of this sub-project was to reduce incidence of Gender-Based Violence in the Province of Agusan del Norte by strengthening capacities of “duty bearers” and empowering women and children “rights holders”. A community-based support system was created through this sub-project and extensive training activities were imparted at both government administrative and citizen level to gain knowledge and skills concerning gender sensitivity, leadership, advocacy, planning, budgeting and monitoring and human rights laws. This sub-project aimed to establish a mechanism towards mainstreaming the Conditional Cash Transfer (CCT) beneficiaries into the socio-economic development of the municipality’ by linking the CCT program with an expanded Bottoms-Up Budgeting program where the CCT beneficiaries would have opportunity to participate in the identification and budgeting of community anti-poverty projects. This sub-project sought to make the Philippines Department of Budget and Management’s Handbook on Civil Society Organizations Participation in the Budgeting Process more accessible to citizens by transforming it into an illustrated (comics format) version. 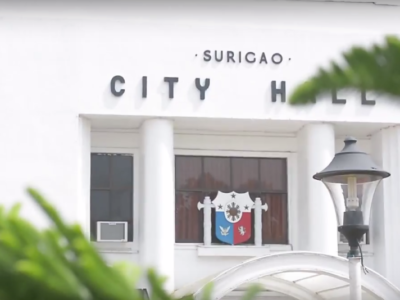 The handbook served as practical guide for local government and CSOs/citizen collaboration in the preparation of the local government budget in Surigao City. This project sought to mobilize, organize, and strengthen the capacities of Turbod municipality’s volunteer citizens groups to monitor and report on the implementation of government-funded infrastructure projects. The project institutionalized a mechanism that adopted transparency and accountability measures in the implementation of national government programs and projects while developing and strengthening the capacities of LGU and Volunteer Citizens Groups towards institutionalization of a local-based M&E system. This sub-grant consolidated and strengthened various CSO initiatives in Cagayan de Oro to engage the Local Government in transparent and participatory governance of the city through a citizen-led “People’s Council.” The Council and common People’s Development Agenda were developed to increase citizen participation in monitoring of and contributing to political activities and election processes. As a result, the People’s Council secured a role in budget deliberations of the city counsel and obtained a seat in the Finance Committee in charge of formulating the Executive Department budget.